Please give us 24 hrs. notice to send the right vehicleA? A regional Airport for Arugam Bay? The discussion about a new, proposed regional airport serving vibrantA?Arugam Bay continues. Is this the possible site for the new Tourist hub? 'Gprdon Boss' former Prawn Farm. A perfect lagoon fronted landing strip? There is a lot of talk about opening up the treasures of Sri Lankaa? ?s neglected east coast (such as Arugam bay/Pottuvil Famvir dose over the counter ) to the wider world. However one of the biggest obstacles to such a process it getting there. Currently Arugam bay/Pottuvil is a 8 hour drive from Colombo a?? which doesna? ?t compare well with the 10-11 hour flying time from Colombo to London. The combination of regular domestic air services to Ampara airport and local entrepreneurs can remove this major logistical hurdle to developing this area. Ampara airport (Air Force Base) is not exactly new door to Arugam bay. Yet it is the closest runway accessible via the existing road network. Current transport services such as the AbaY Taxi a?? 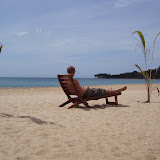 which currently specialises in travel from Colombo airport to Arugam Bay a?? are well placed to make the air bridge viable. Mihin Lanka will introduce domestic flights to three destinations after launching their international schedule end of this month. This would be done within three months and the management hopes to lease 17 new aircraft for these operations. The airline is looking at flying to Trincomalee, Palaly and Ampara mainly targeting the local business clientele. 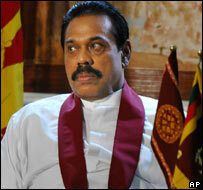 Chairman Mihin Lanka, Raja Edirisuriya speaking to A?a? ?E?Daily News BusinessA?a??a?? said that they want to make Mihin, the best low cost airline in the region. A?a? ?A?We are adopting new strategies and have launched a new business model to make the airline a viable venture,A?a??A? he said. The agreement to lease a new aircraft from a French company was signed last week and the new 186 seater Boeing would arrive in Sri Lanka on 19. The wet lease agreement would be reviewed once again in three months and the airline is next looking at a more profitable one. A four member international technical team will arrive this week to train the local airline crew for these operations. Under the first stage the airline will operate six weekly flights to Dubai leaving Colombo at 10 p.m. In addition there would be five to three frequencies to both Trevendrum and Trichi. The Bodhgaya flights will operate from February 15. A sum of over one million US dollars that were in arrears to companies in both India and Dubai were also paid last week. A?a? ?A?Mihin is a new year gift from the government to the masses,A?a??A? he said. He said under the new roll out plan a home grown call centre was established with an investment of less than Rs. 200,000. A?a? ?A?Earlier Rs. 2.5 million was spent to maintain it each month,A?a??A? he said. The hotline for the call centre is 2002255. The new CEO, Kapila Chandrasensa said the operations would be highly profit oriented and the airline would be a mixture of a low cost and a full service airline. A?a? ?A?We are not going to eat into the SriLankan airlines market and are looking at new synergies to tap the masses,A?a??A? he said. The fares would be less than the current prices and enhanced on board service would be offered for Dubai flight. A?a? ?A?While the Dubai flight targets the Sri Lankan expat workers the Indian flights would be mainly for Indian passengers who wants to fly international from Colombo. Indian flights (Bodhgaya) will also target first time travelers and the Buddhist pilgrims who cannot afford high airfares,A?a??A? he said. He also aid the global airline industry is facing a crisis due to the world economic downturn. A?a? ?A?However good governance would allow Mihin to stay afoot,A?a??A? he said. Arugam.info does NOT make money on Taxi Bookings! Arugam.info advises to avoid buses, trains & public services, for now. In this, troubled time better be SAFE – Not sorry! We can collect you at ANY time, from anywhere in Sri Lanka – but to share costs, due to high fuel prices, please give us some notice to find fellow passengers! Bad News also for Arugam Bay. Emirates Airlines used to send some pilots on a R & R surf stay to the Bay to recover from work stress situations. Bad international vibes about heavy handed attitudes, too. Emirates Airlines has announced that it will not renew its management contract with Sri Lanka’s national carrier after March this year. Emirates owns a 43% stake in Sri Lankan Airlines and runs it under an agreement with the Sri Lankan government. The pull-out announcement follows a row over ticketing between the chief executive of Sri Lankan Airlines and the Sri Lankan government in December. Relations between the two soured significantly following the incident. In December Peter Hill was appointed chief executive of Sri Lankan Airlines by Emirates to run to run Sri Lanka’s national carrier. Soon after his appointment, he refused a request from the Sri Lankan President, Mahinda Rajapaksa, for 35 tickets on a flight from London to Colombo. The president, who was in London for a private visit, was rushing home in order to be able to attend a crucial session of Parliament. But Mr Hill refused the request as the flight was over-booked. 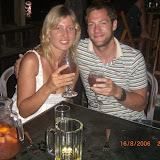 Shortly afterwards, Mr Hill’s working visa and residence permit were withdrawn by the Sri Lankan authorities. Talking to the BBC, Mr Hill said the incident “had some bearing” on Emirates’ decision not to renew its contract. “Basically the flights had been full for several months and we weren’t able to accommodate that number of people – we were talking about 35 seats here. “And so we asked them if there was a possibility that only the president and his close relatives could travel, and we probably would have been able to accommodate them with three or four seats. “But obviously we weren’t able or prepared to offload 35 previously booked customers, basically taking the whole of our premium cabin and 17 seats in economy, at that short notice. Mr Hill said soon afterwards his work permit and the residents permit were withdrawn. 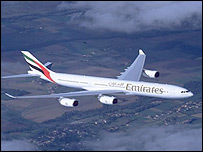 The original contract between Emirates and Sri Lankan Airlines had been in operation for 10 years, and would have come up for renewal in April. Price of brand name wellbutrin Mr Hill said Emirates had made a set of proposals for renewing the contract more than 18 months ago, but had heard nothing from the Sri Lankan authorities. While Emirates and Sri Lankan Airlines insist their parting has been amicable, Mr Hill said that it would nevertheless send the wrong signal to international investors. “Personally I feel that after 10 years of putting the airline on the right road to success and profitability, it was a disappointing end,” he said. For its part Sri Lankan Airlines says it will have to put together a plan to continue running its operations from April, which it says it is capable of doing.